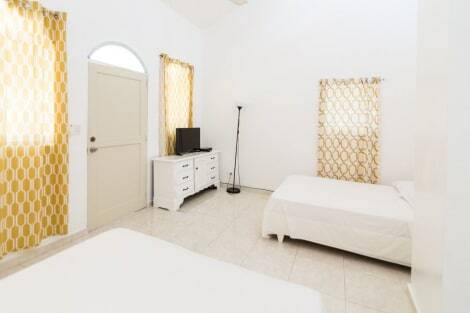 Located in Cabarete, El Maginifico is a beautiful beachfront ApartHotel just 8 km away from Encuentro Beach which offers free Wi-Fi access, free parking and a hot tub. The air-conditioned apartments at El Maginifico feature a balcony with a wiew of the sea, a cable TV, and a refridgerator. Private bathrooms with a shower and a seating area are also included. Restaurants and markets can be easily found along the Oceanside road within a 5-minute walk and nightlife in Cabarete is an exciting mix of Oceanside bars with live music and DJs playing merengue and other tropical rhythms. Outdoor sports such as mountain biking, wind surfing and cascading can be organized by the property’s tour desk. El Choco National Park is 20 km away and the Puerto Plata Province is a 40-minute drive away. Gregorio Luperon International Airport is a 20 minutes away by car and Santiago Airport is 75 km away. Satisfy your appetite for lunch or dinner at Restaurante Ocean Manor, a restaurant which specializes in international cuisine, or stay in and take advantage of the room service (during limited hours). Relax with a refreshing drink from the poolside bar or one of the 2 bars/lounges. A complimentary breakfast is included. With a stay at Northway's Hotel Monte Cristo in Cabarete, you'll be near the beach, within a 10-minute drive of Cabarete Beach and Kite Beach. 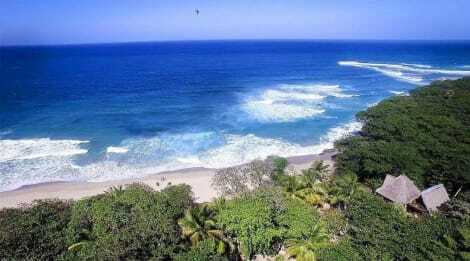 This beach hotel is 11.6 mi (18.6 km) from Sosua Beach and 23.9 mi (38.4 km) from Playa Dorada. Make yourself at home in one of the 67 guestrooms featuring refrigerators. Complimentary wireless Internet access is available to keep you connected. Bathrooms with showers are provided. Conveniences include safes and ceiling fans, and housekeeping is provided daily. Be sure to enjoy recreational amenities including an outdoor pool and a fitness center. This hotel also features complimentary wireless Internet access, babysitting/childcare (surcharge), and tour/ticket assistance. The Coconut Palms Resort offers an elegant and laidback atmosphere with quiet gardens and wonderful cuisine. The Palm Room Restaurant is casual and comfortable with excellent food, from burgers and fries to fruit sculptures. The restaurant features live entertainment, magic shows, and the very popular Dominican Fiesta. Pre-arranged trips to Cabarete offer some of the best nightlife in the area. Enjoy the outdoor pool and children’s pool with sunbathing, chess, and relaxing activities. Children will also enjoy the games room. Childcare, laundry, and auto rental are on-premises. Pamper yourself with onsite massages, body treatments, and facials. This lodge also features complimentary wireless Internet access, concierge services, and babysitting/childcare (surcharge). If you're ready for some gaming fun, you can hop on the casino shuttle (surcharge). Enjoy recreation amenities such as an outdoor pool or take in the view from a garden. Additional amenities at this hotel include complimentary wireless Internet access, concierge services, and wedding services. Guests can catch a ride on the shuttle (surcharge), which operates within 10 km. 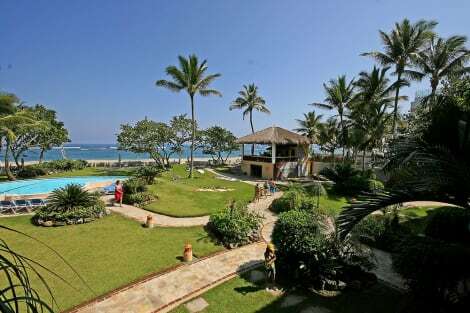 Located just 60 metres from Bozo Beach in Cabarete, this property offers an outdoor pool, a spa bath and sun terraces. Wi-Fi internet access is free of charge. The apartments at Bahía Residence Cabarete are air conditioned and feature flat-screen cable TVs, coffee makers and private patios. The bathrooms have walk-in showers and provide free toiletries. Within a 10-minute walk, guests at Bahia Residence will be able to find a variety of beachside restaurants and bars. The Bahia Residence staff can help guests with information about mountain biking, surfing lessons, kitesurfing spots and transport to the 27 waterfalls. Central Cabarete is 10 minutes’ walk away from the property, while Kite Beach is just a 5-minute walk away. Puerto Plata Airport is 25 minutes' drive away, while Santiago Airport is 1 hour and 15 minutes’ drive away. lastminute.com has a fantastic range of hotels in Cabarete, with everything from cheap hotels to luxurious five star accommodation available. We like to live up to our last minute name so remember you can book any one of our excellent Cabarete hotels up until midnight and stay the same night.